This year marked my first ever stint as a Giver for World Book Night and I got a lot more out of it than I expected. 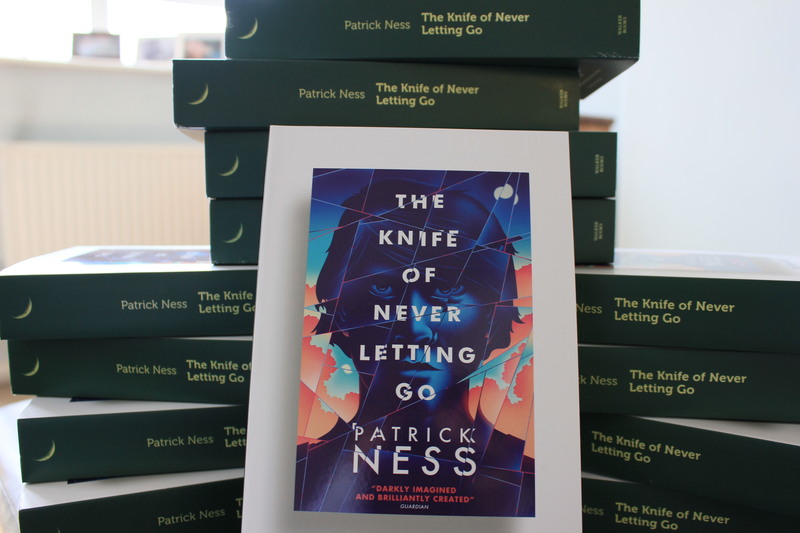 I was given a fantastic book to hand out—The Knife of Never Letting Go by Patrick Ness. It was one of my favourite books of 2012 and I was very honoured to pass it along to others and to share my appreciation for such an amazing and creative novel. So where did my 20 copies go? 1 – given to my little brother in law, who is just starting to appreciate a good book over an x-box game. 2 – one each given to two of the maintenance guys where I work, one of whom is taking it with him on holiday next week. 1 – given to a contractor who regularly visits our building and who is an avid reader—he was well chuffed with a free book and is already halfway through the book! 12 – a combination of “drops” and handing out outside the Tube station near my office at lunchtime. “Drops” included the reception area where I work and on a few buses I take to and from work. I have issues with strangers and crowds so standing outside of the local Tube station was a bit difficult for me, but it forced me to talk to people which was a plus. People were really suspicious of a free book and I had more than one person refuse, saying point blank that they “didn’t want any religious material”. They didn’t even give me time to explain that it was a novel! I was a bit disappointed by that, particularly after reading loads of other people’s experiences on Twitter. Maybe it’s just the area I’m in, or maybe it’s the general mistrust that Londoners seem to have. That seriously made my day. I totally didn’t expect a response from anyone who picked up a book, much less one as nice as that! After a bit of chatting, it seems that the book made it to the bus’s end destination, back, and then out again before being picked up. Sometimes things just work out, don’t they? Either way, I’m beyond thrilled that I made at least one person smile. All in all, being a Giver for World Book Night was a fantastic, heartwarming experience that I would definitely do again!